Alvin Ho: Allergic to Girls, School, and Other Scary Things is about a second grader named Alvin Ho. Along with his brother Calvin, his sister Anibelly, and his dog Lucy, he goes on adventures doing scary things (or at least to Alvin, they're scary). Alvin is afraid of everything, even simple stuff like school. He is so afraid of school, he can't even talk when he is there. How will he ever make it through second grade? I enjoyed Alvin Ho: Allergic to Girls, School, and Other Scary Things because he is constantly afraid of one thing or another. I like how he is always looking for his family members (even his dog Lucy). It's funny how, when Alvin is at home, he is fearless, but when he is anywhere else, he is a scaredy cat. 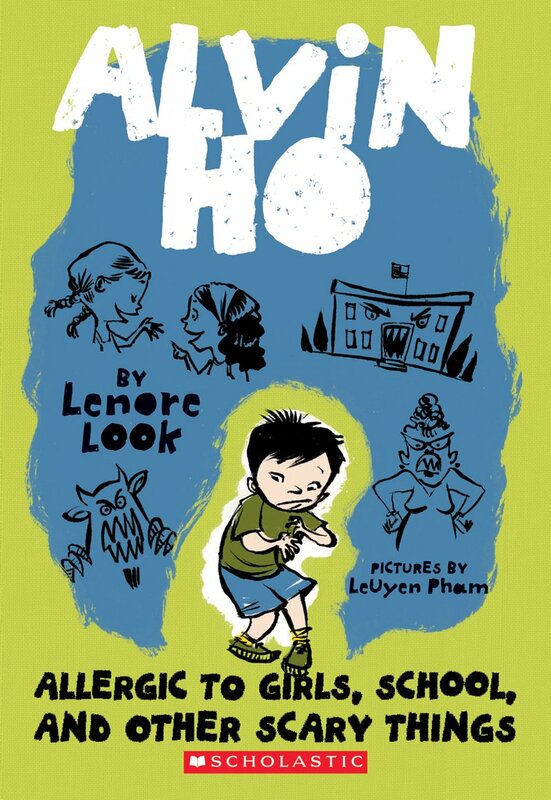 This funny book is good for elementary students. It is also the first book in the Alvin Ho series and there are 5 more titles after it.